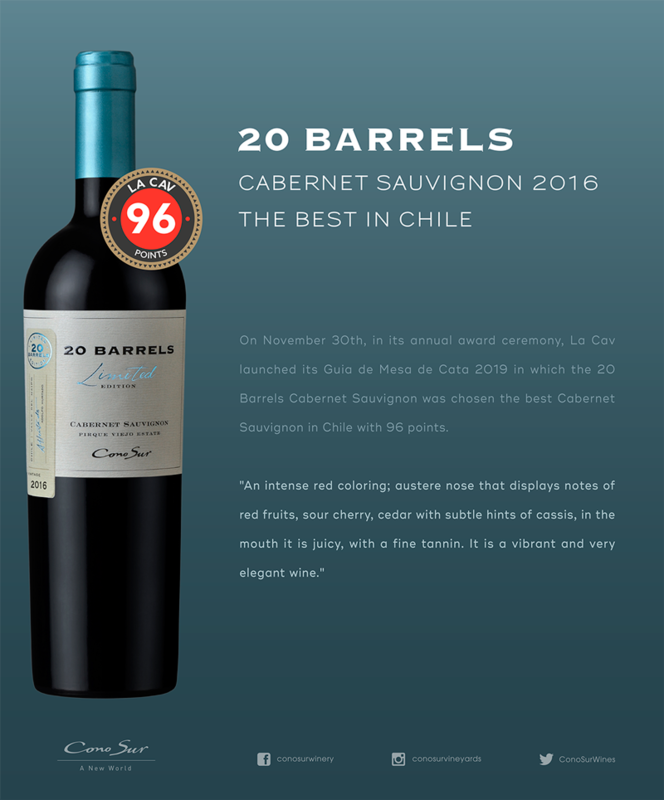 On November 30th, in its annual award ceremony, La Cav launched its Guia de Mesa de Cata 2019 in which the 20 Barrels Cabernet Sauvignon was chosen the best Cabernet Sauvignon in Chile with 96 points. Av. Nueva Tajamar 481 Torre Norte - Oficina 1901, Las Condes.